In my pre-village life I could count the number of weddings that I had been to on one hand (including my own). I could also count the number of funerals that I had been to on my other hand (including both of my parents). Now since our move to Türkiye our life is inundated with them both and honestly, enough is enough! Thankfully this year’s düğün (wedding) season has started to slow now that we have moved into autumn although I did come home to find yet another invitation on my door step yesterday afternoon. This one is for The Turk’s second cousin’s daughter (for feck’s sake), yet another person that I have never met in my entire life. That’s fine although as the yabancı I am usually dragged around the room like a trophy. 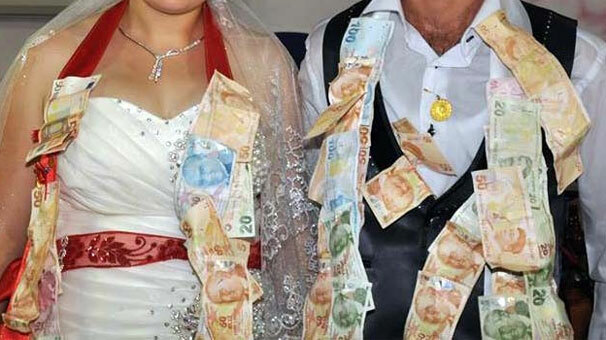 Between you and me I think having the yabancı at your wedding is a sign that you have really made it. A yabancı is a real drawcard. Regardless a Turkish wedding reception is great fun, whether you know the wedding party or not and usually the whole village turns out for the event. Here in the village it is not uncommon for a wedding to go for two or three days not including the nikah. There is the kina gecesi (bridal henna party) where all the bride’s female family members, friends and neighbours get together on the night before the wedding to paint the thick ochre paste on her hands and feet. Then you have the traditional village reception usually held in the school grounds or on the bride’s street where jeans and t-shirts are acceptable attire and, finally if finances allow, the salon reception where you will find yourself dressed up like a starlet on Oscar night with more sparkle, makeup and hairspray than you thought you could wear in a lifetime. The latter two nights are jammed packed with earth rattling Turkish müzik coupled with pounding drums, all night dancing, fireworks and tribal yelling – after all the more noise you make, the happier you are. The only downside to a Turkish wedding is they are generally alcohol free. The Turk and I have taken to hiding the little baby bottles of Angora and an opener in my Fossil handbag so if you ever see me lugging around a huge handbag at a wedding don’t shake it too much. Desperate measures people. Although most of the weddings are out of the way for the season a cenaze (funeral) can happen at any time of year; actually here in the Village they seem to happen all the time. The first funeral I attended here was for my mother in law. It was heartbreaking. Since then, however, I seem to find myself constantly attending funerals from people in the village, again usually people that I have never met. Of course I have to attend. It is respectful to be seen by the side of The Turk at these events however personally I find funerals highly emotional and, even though I may not have known the person, I hide behind huge sunglasses teary eyed. A funeral will also go on for days (7 days to be exact) and it is necessary to attend every single day, drink copious amounts of çay and, in my case anyway, burst into tears at every prayer. 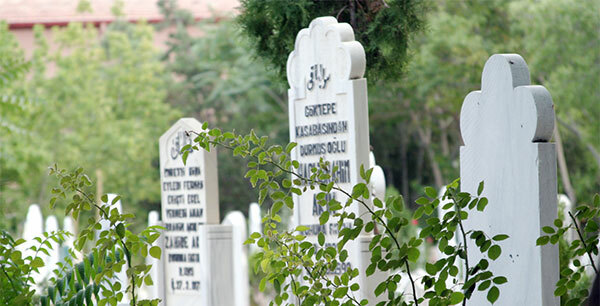 Sadly I now know there is a funeral even before The Turk can open his mouth because I spot the dark blue jacket neatly hung over a chair ready to be slipped on. At that point I usually blurt out, “Oh no! Who’s died now!” because the dark blue jacket is his funeral jacket. I’ve got to tell you, you run the whole gauntlet of emotions living here in the Village from the excitement of an over the top wedding, the comedy of a ridiculous family feud or the emotions of a neighbour’s death. Even with all the drama that goes on around me I am incredibly happy with my life as it is right now – and I wouldn’t change it for the world. 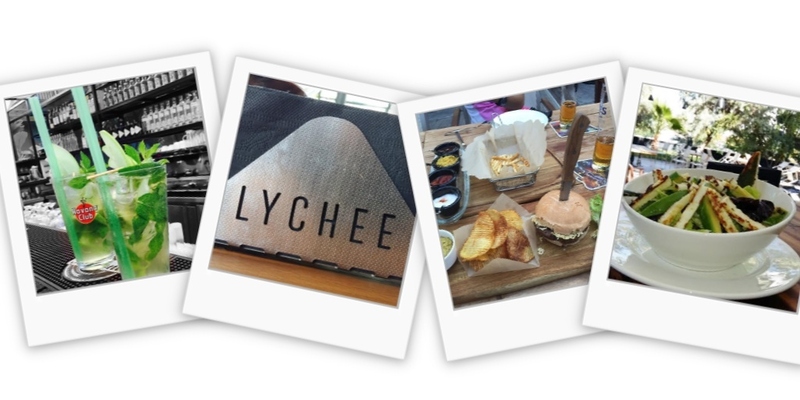 Loving this blog? Please help me build my audience and share with like minded people who, like me, love all people regardless of their race, religion and creed, but also loves Türkiye. You can also subscribe or like me on Facebook for all updates. This morning my heart weeps; the world has again been struck by tragedy. Over 150 victims killed in six separate terrorist attacks in and around Paris, France with IS apparently taking responsibility for these attacks. As you all know I live in a country that is 98% Muslim. Most Muslims are ordinary, peace-loving people with their own set of dreams and problems and should be treated with the same respect we give to any other fellow human being. I live in a real community where love and support is evident wherever you go. These are not people bred with hatred. What many of you may not have known (due mainly to the fact that news coverage was nearly non-existent in other countries) is that only yesterday there was two suicide bombings attributed to IS killing 43 people in Beirut. Another incident in Baghdad with 18 victims. Türkiye also recently suffered at the hands of IS with an attack that killed nearly 100 people and injured over 400 more at a peace rally in Ankara. I chose not to write about that terrorist attack in an attempt to fill my feed with only positive stories but I guess I can’t keep myself quiet today. These attacks are not solely being directed at you or at me. These attacks by IS are indiscriminate. We are all targets – Muslim, Christian or other. Today my social media newsfeed is filled with putrid spewings of hatred from people who I have long considered friends. I have been shocked by some of the statements made. Do you feel that way about all Muslims? What about The Turk? Do you feel that way about him as well? Should he be vilified for his religion. Of course not. To one particular person who wrote on their Facebook that “all terrorists are Muslim” I say this to you – hate is born by people exactly like you. You are no better than a terrorist with your rabid hatred. Throughout history religion has been used as an excuse, or driving force, for some of the worst atrocities imaginable. From pre-history to modern history, religion is, for many people, just an excuse to kill other people. Not post 9/11. We can go throughout history and talk of religious atrocities. I shall name a few although honestly I shouldn’t need to. We all learnt about them at school. Does the Inquisition ring a bell to you? How about those witch hunts in Massachusetts? All about religion. Let’s go further back in history to Roman times with Nero persecuting all Christians. And what about Jesus? He was persecuted for his religion as well. Maybe we should consider the Aztecs who killed tens of thousands a year to appease the Gods. I could continue but I won’t. Your religion (if you have one) is only one part of who you are. I cannot understand why we have so much hatred and violence. The perception that people of one nationality, political affiliation, religion, or colour of skin are more superior or inferior than another. We are one people. We are all humans trying to get through this thing called LIFE. It is hard, unfair, and trying – but we all deserve a chance to live it. No one’s life should be taken by another for any reason. No one’s life is more valuable than another’s. 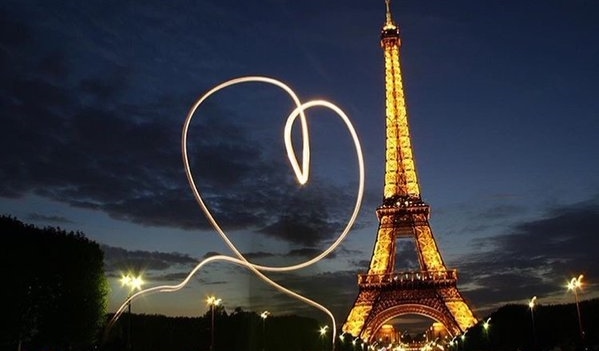 To those in Paris, and those affected by this horrible massacre, my thoughts are with you today.